Most mathematical examples illustrate the truth of a statement; conversely, counterexamples demonstrate a statement's falsity if changing the conditions. Mathematicians have always prized counterexamples as intrinsically enjoyable objects of study as well as valuable tools for teaching, learning, and research. 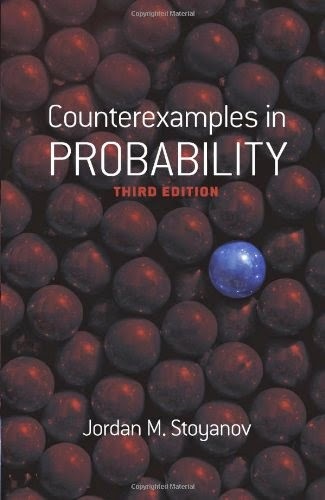 This third edition of the definitive book on counterexamples in probability and stochastic processes presents the author's revisions and corrections in addition to a substantial new appendix. Suitable as a supplementary source for advanced undergraduates and graduate courses in the field of probability and stochastic processes, this volume features a wide variety of topics that are challenging in both content and detail. The text consists of four chapters and twenty-five sections. Each section begins with short introductory notes of basic definitions and main results. Counterexamples related to the main results follow, along with motivation for questions and counterstatements that range in difficulty. A familiarity with basic notions and results in probability and stochastic processes is assumed, and a chapter of supplementary remarks provides a wealth of information about original sources as well as references for further studies.